Starting today, Motorola is selling an unlocked version of its new Moto G6 smartphone in the US. Previously released by Verizon Wireless, the Moto G6 is priced at $249 and can be purchased unlocked via Motorola and Best Buy. For now, the Moto G6 is offered only in black, with a blush color option coming soon. The phone's estimated delivery date is June 6 if you're ordering it from Motorola, yet Best Buy says it can ship the device in just two days, so you can get it on June 1. Best Buy also lets you save $25 on the G6, but only with immediate activation on Verizon. 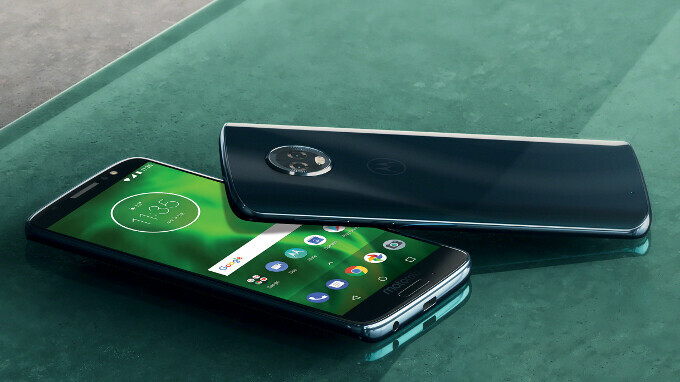 The unlocked Motorola Moto G6 is fully compatible with most US carriers, including Verizon, AT&T, T-Mobile, Sprint, and even Google's Project Fi. The smartphone runs Android 8 Oreo out of the box and is the best new Moto G that you can get in the US, as the superior Moto G6 Plus is destined for other markets. Sporting a 5.7-inch, 18:9 aspect ratio display with 1080 x 2160 pixels, the Moto G6 has a splash-resistant body and a fingerprint scanner on the front. Other features include a Snapdragon 450 processor, a 12 MP dual rear camera, 3 GB of RAM, 32 GB of storage space, and a 3000 mAh battery with fast charging. You can take a closer look at the phone in our Motorola Moto G6 review. I'd rather save up a bit more for the Moto X4, honestly. The phone can be had on sale from many outlets nowadays especially at B&H.